Giuliva Heritage Collection - Giuliva Heritage Collection's navy The Ginestra skirt is a feminine option for warm-weather days. 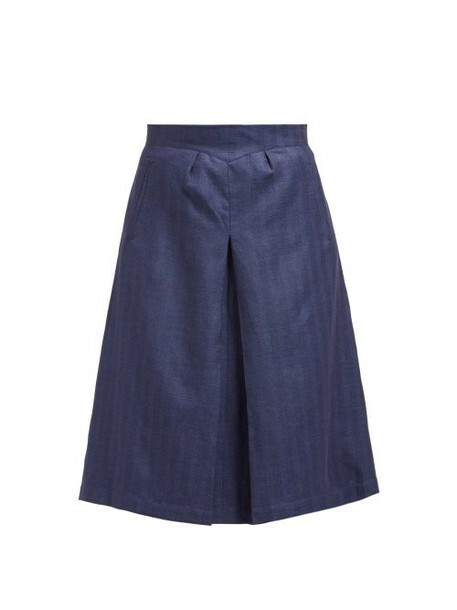 It's crafted from a lightweight cashmere and linen blend with a herringbone finish for discreet texture and shaped with front and back darts and a long inverted pleat to create a voluminous silhouette. Team it with the matching jacket and neutral accessories to emulate the label's elegant Italian flair.